This entry was posted on Thursday, March 7th, 2019 at 8:38 am	and tagged with Appleford Road, Barandon Street, Bramley Road, Golborne Gardens, Hurstway Street, Lockton Street, Testerton Street and posted in 20th Century, North Kensington. You can follow any responses to this entry through the RSS 2.0 feed. 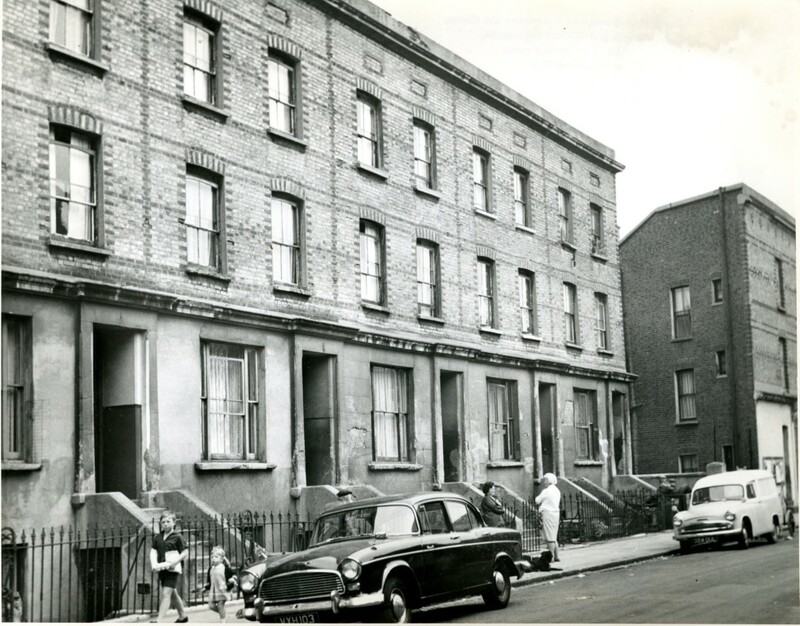 An excellent blog as always showing the old streets from some unusual angles. 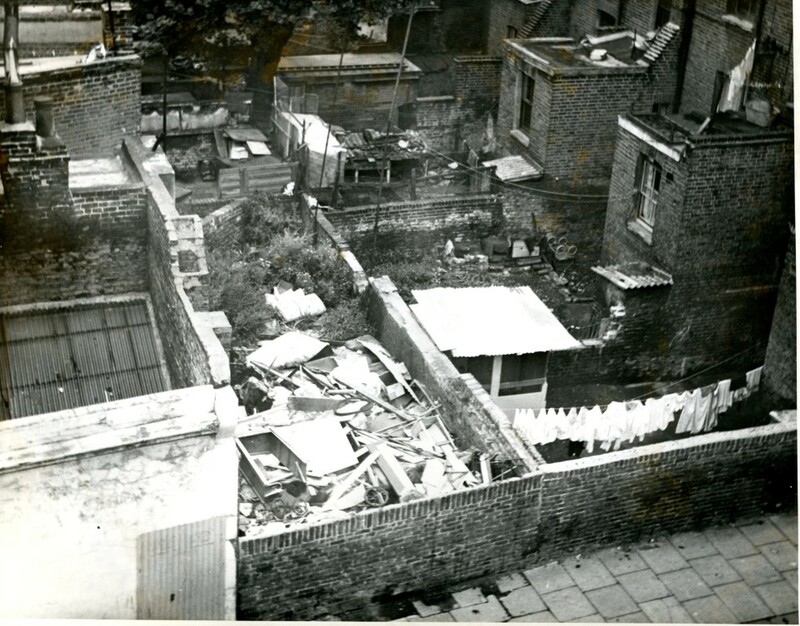 That first photo is of Appleford Road but looking towards Golborne Road. That very distinctive shopfront facing Appleford Road, which I’ve seen in two other photos, gives it away. 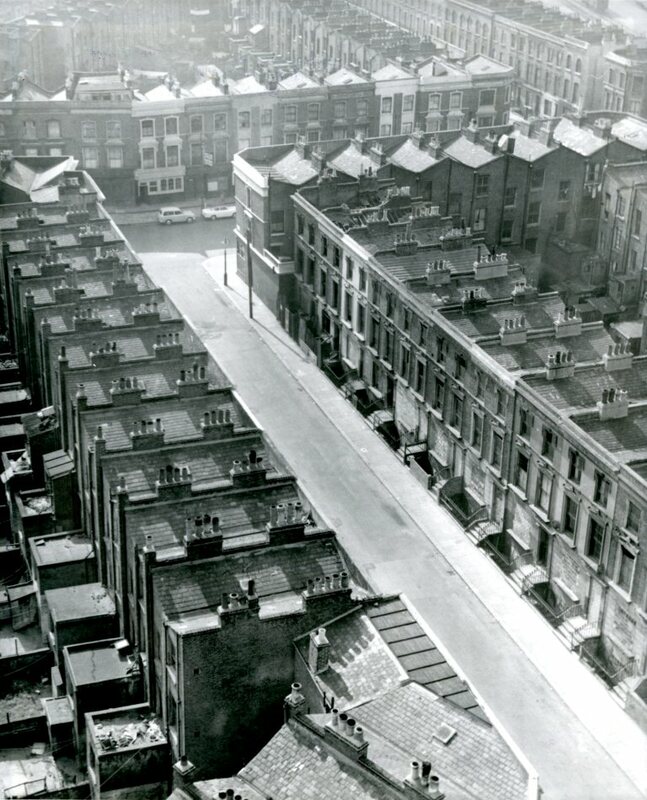 The street running at right angles in the top right hand corner is Southam Street running towards Westbourne Park station. From the angle, the photo was taken from Adair Tower as was the photo of Hazlewood Tower, distinguishable because it’s at the apex of the angle created by Hazlewood Crescent and Golborne Gardens. 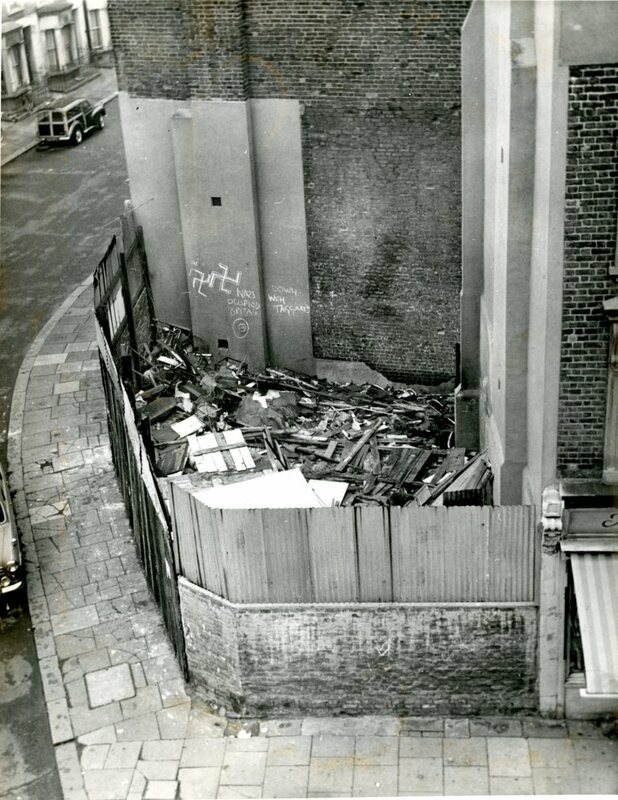 I’m sceptical about the date of those photos because, by 1966, Appleford Road had been demolished and the junction with Golborne Road had been blocked off by the new development of shops and flats running from the junction of Southam Street and what was the Prince Arthur (now Lowdown), which includes Kensal Town library. I think they were taken in 1962 when the towers were completed. There’s an episode of Gideon’s Way (The Firebug) made in 1964 – just this final point and then I’ll stop!! – showing the shops and flats and shops under construction. Thank you John. It’s a strange thing to explain but I can ‘see’ the old street layout in my mind whenever I walk round. 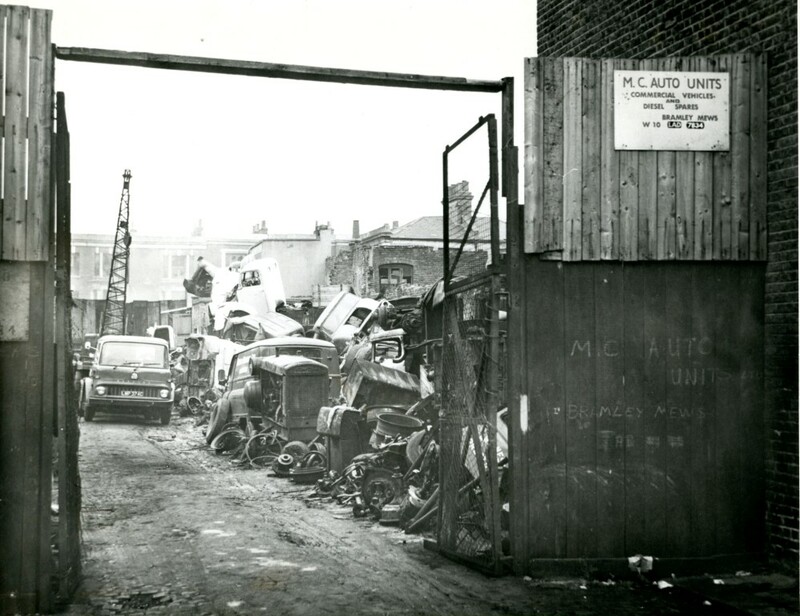 Born in 1950 I lived in Acklam Road until the house was demolished when they built the flyover. 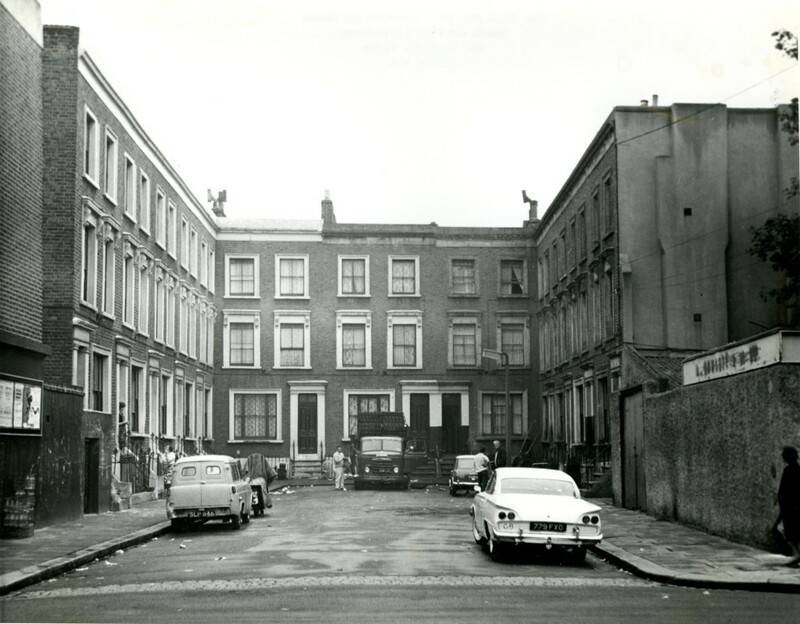 We were rehoused in Appleford Road which had been redeveloped. 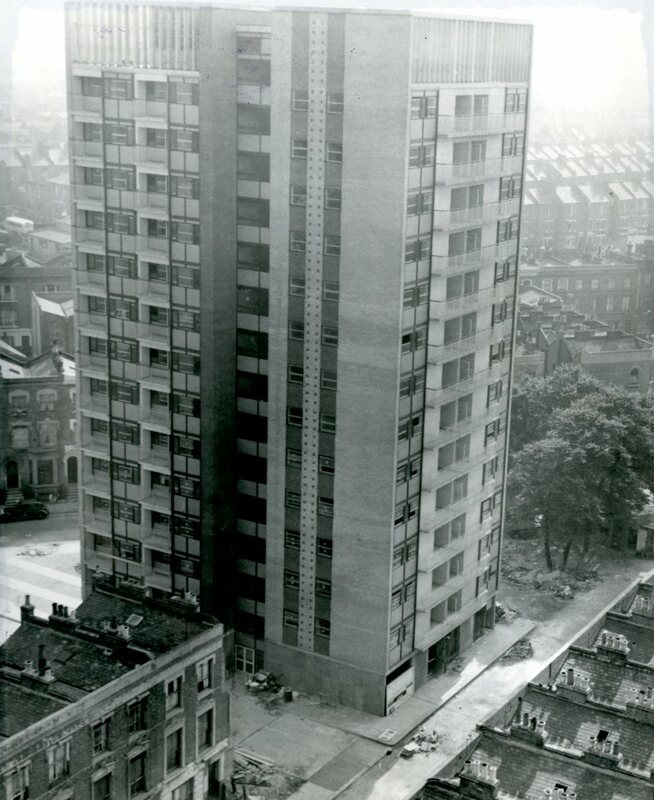 Hazelwood tower and Adair tower were close by on the newly developed estate. Remember some of those old houses were still standing opposite our block, and nearby. However after a few years, life there became intolerable and we moved right away, to the area where I still live today. The mystery car is a Ford Consul Capri, a coupe version of the Consul Classic. I think Hurstway street had railings in front like Testerton and little tTess did so maybe it’s not hurstway street. 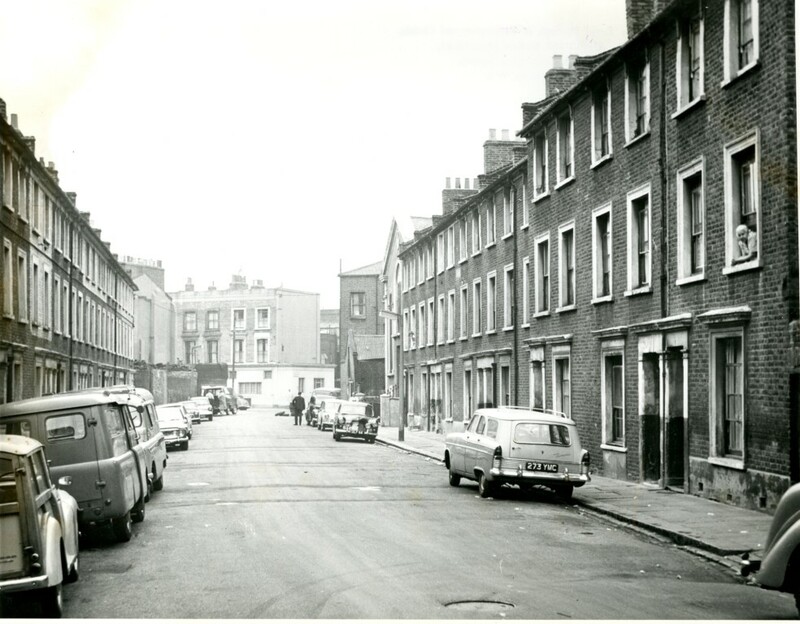 Was the end of Fowell street where the doctors were on Lancaster road and the sweet shop Bulls was on the other corner ? So many memories like a lot of people have said to us it was home not slums. Not when your born there . 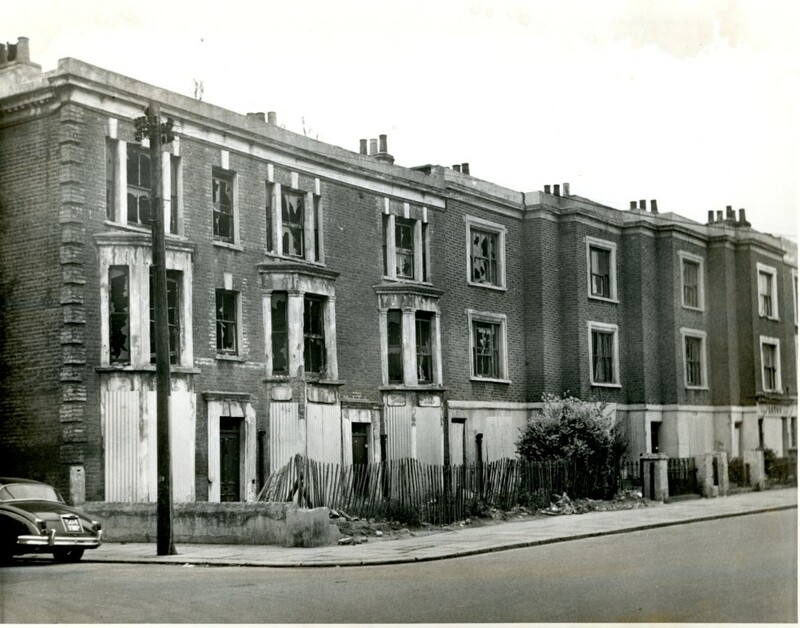 In the first picture it is definitely Appelford Road facing Golborne Road. The shop that’s visible top left hand is 23 Golborne Road that had the bookies downstairs and where the Gonzalez and Christou families lived upstairs. The roof just visible to the left of that is 21 which was my father’s shop, known locally as the Green Shop because of the colour of its tiles. I used to climb up onto the roof to sunbathe as there was a nice little dip, just wide enough for a towel and a transistor radio. The car in the cul-de-sac in picture 6 (we called them ‘dead end streets’ by the way Dave – nobody in W10 would have known what a ‘cul de sac’ was!)) is the first ever Ford Capri and was simply a two door coupe version of the Ford Classic. I owned a Classic and thought they were the best of the Ford output at that time. I’m pretty sure this street is the setting for the feature film ‘Leo the Last’ which the makers obtained use of for filming immediately before it was demolished. Loved all the pictures remember st Francis school opposite st Clements school where myself and my sister went. Stoneleigh street was off Treadgold street as well. Wonderful old photographs, so sad, whilst people were moved to what they considered cleaner places, no mice etc, the Tower Blocks destroyed communities and it’s very hard to get that back. 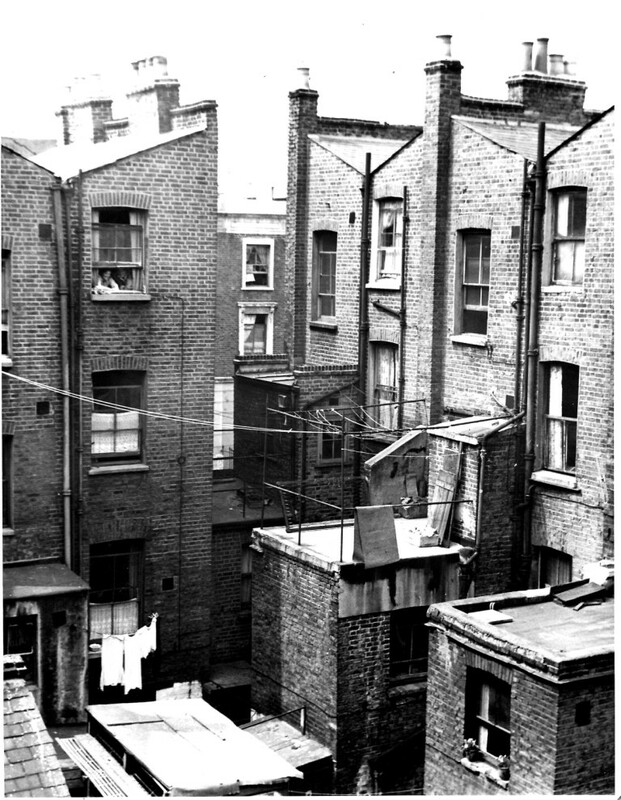 Many of them turned into ghettos for young gangs. 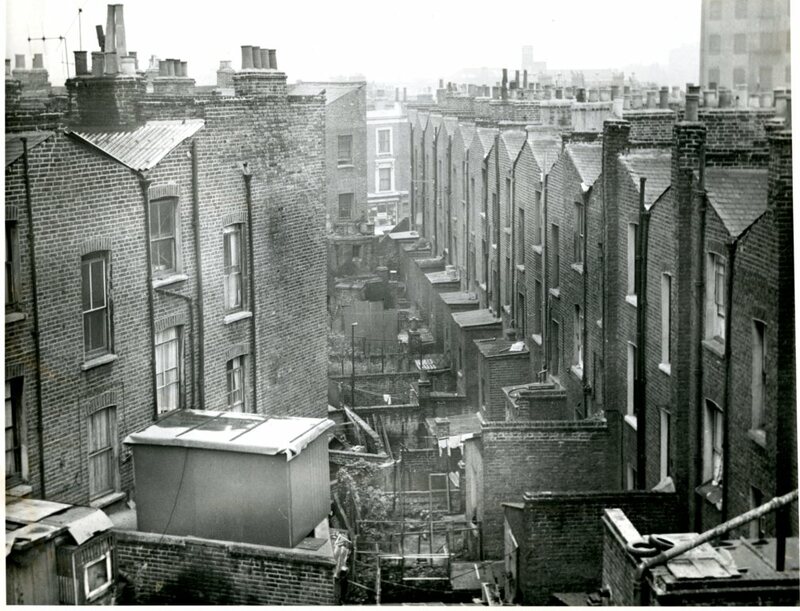 Whilst these old terraced houses were described as small, many were not, some of the rooms where very large. 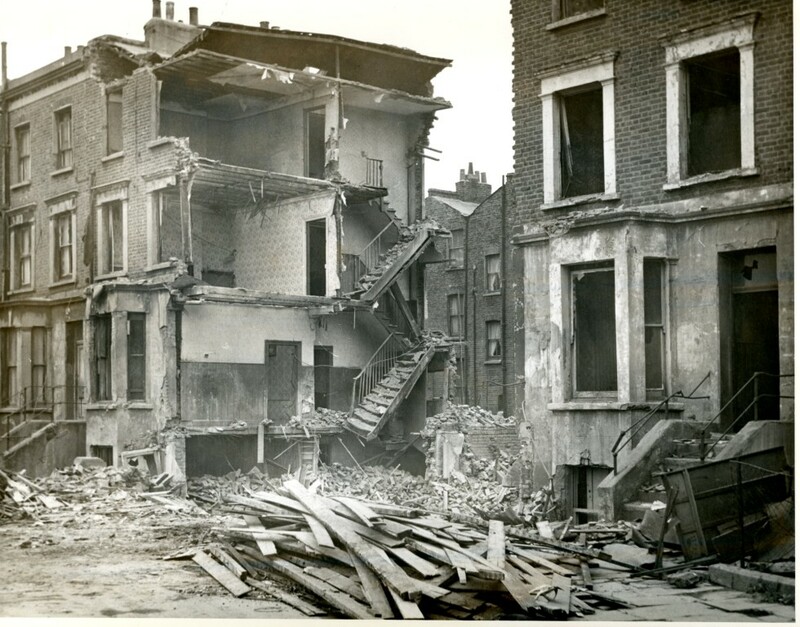 THEY TOOK AWAY PART OF THE LIFEBLOOD OF OUR LONDON, WHAT THEY DON’T SHOW IN THE PHOTOGRAPHS IS THE CAMARADERIE, LOVE, RESPECT, COMMUNITY, SAFETY, HONESTY AND THE LOVE THAT ABOUNDED AMONGST THE FAMILIES, THE NEIGHBOURS AND ALL THE OLD SHOPS WE USED TO HAVE.. I MISS IT SO MUCH. I agree. 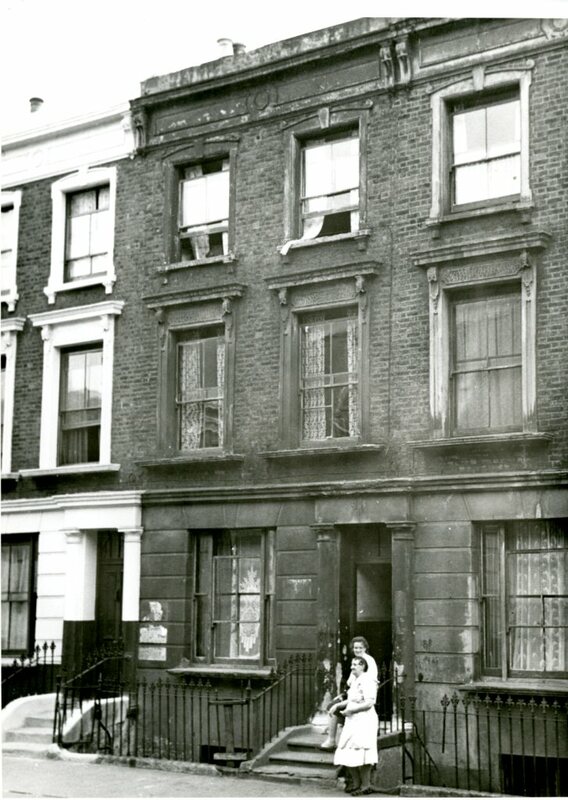 The conditions in which we lived in Acklam Road were very poor, but despite the new flat in Appleford Road we were moved to, we all hated it. But there was no alternative to knocking down all these unsanitary houses. The big mistake was not replacing them with houses. Save space and “stack em high” was the motto. Hence estates and tower blocks. Also a chance for the new wave “architects” to give free reign to their imagination. But they did not have to live in them. They caused lives of misery for many, and still do. All very true Janice and Shirley. In defence of the architects, they were probably given a brief to design blocks rather than houses. I doubt it was their decision….but you’re right they didn’t have to live in them. 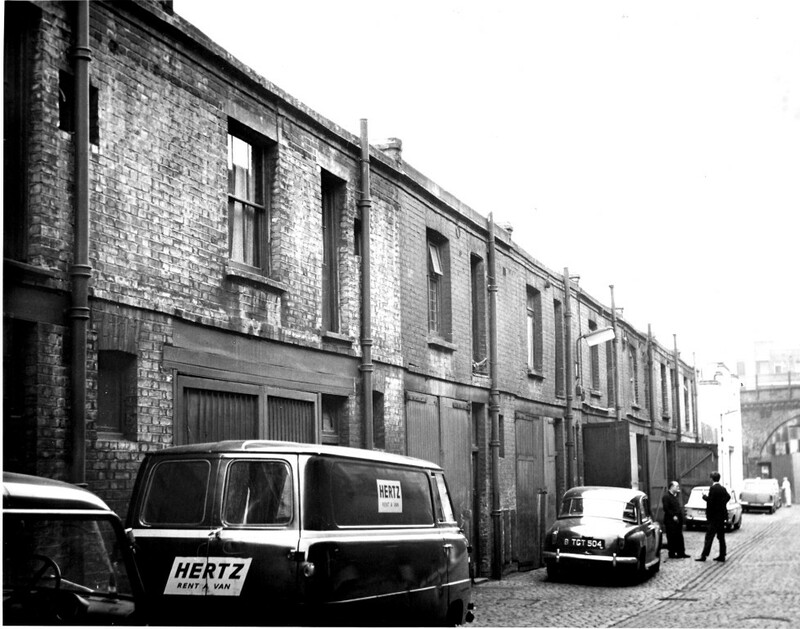 That last picture is fowell street surely?